Chefs from hotspot Santa Katarina tell their food secrets. All photos by Daniel Schleffer. 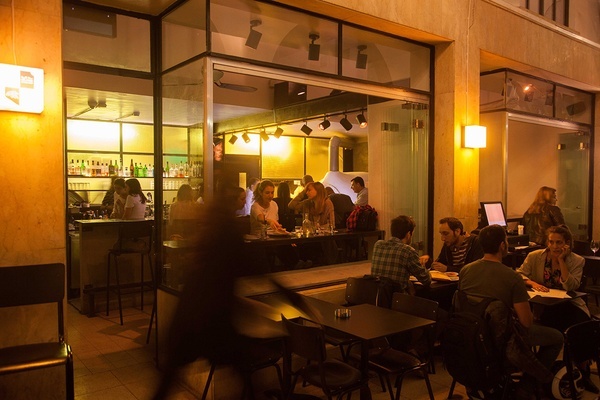 There's a culinary revolution afoot in Tel Aviv. We turned to the locals to get their take on where to taste it. TEL AVIV – They call Tel Aviv "The White City" for the 4,000 buildings built in a unique form of Bauhaus by German-Jewish architects in the 1930s. But the city's real nickname will eventually have to be "The Feast," as it has, for over a decade, sustained a culinary revolution that just keeps going. Israeli chefs are reinventing local cuisine, bringing Middle Eastern freshness to England and the United States (thanks, Yotam Ottolenghi), and giving ancient Yiddish traditions a dose of seriously needed modernity. 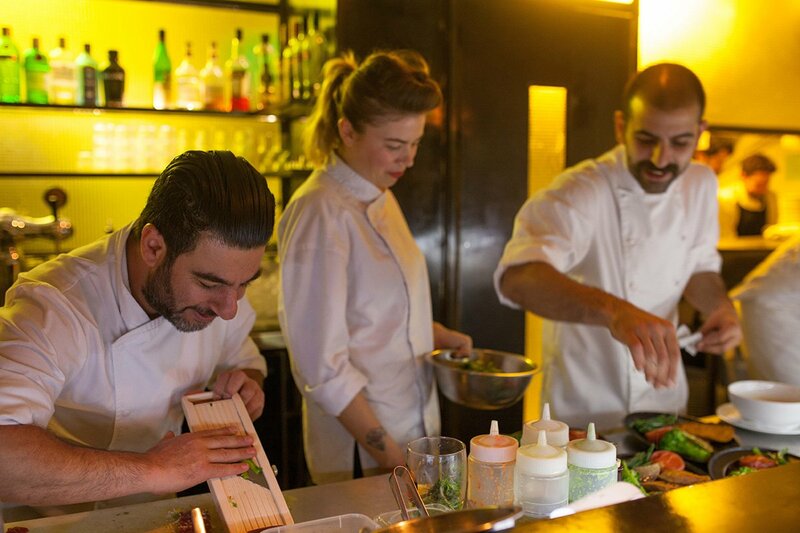 I was recently in Tel Aviv for the , a culinary project that paired nine of the city's finest chefs and their establishments with chefs from a handful of the world's most talked about restaurants. For a month at each establishment, the chefs collaborated to create experimental food experiences that matched local sensibilities with international fare. The New York boys behind served their usual contemporary British fare with an Israeli twist provided by the watchful eye of chef Shaul Ben Aderet. "And just like that, I fell in love with Tel Aviv," says Fat Radish co-owner Phil Winser. Their menu included famed kale salad with a tangy sauce, Scotch egg with mustard, and pork chop with polenta. Another notable collaboration was between chef Haim Cohen of and Spaniards (including former El Bulli chef Alain Devahive) of Barcelona's coveted . "You do not type the words 'a delicious and beautiful dish' and have it printed out for you in many copies," says Cohen. "Nothing is automatic, that's the beauty of cooking." Of course, I asked locals where to eat. Ohad Solomon, the chef at well-loved American bistro , says: "My guilty pleasure is shawarma at Emil's." (33 Allenby Street, Haifa; no phone or website.) Even though he says that his last meal would be "at home, my mother's pumpkin kuba." Chef Omer Miller, who now runs restaurant after stints in the U.S., tells me his favorite is , "an incredible sausage spot in the city that serves all sorts of smoky, spicy, and sweet artisanal sausages." That said, secrets spots abound, as the city is "completely alive with places to explore," according to men's fashion journalist Omri Kiron. "Real Tel Avivians spend Friday afternoons drinking beer with friends at Port Said (5 Har Sinai Street; +972 3-620-7436)." The café slash bar slash everyone-is-here hangout is next to the big synagogue on Allenby Street downtown. "With a local Gold star beer and their lima masabaha, you can welcome the Sabbath in peace," he says. The dining room at Santa Katarina. Across the square is Uri Lahav's , which is currently in the process of redevelopment again. Here, the idea of "less than a restaurant, more than a bar" attracts locals and the occasional visitor from out of town. Diners order anything from duck confit on Yemeni bread to an array of raw fish dishes while chatting with other tables or one of the many friendly faces working there. Chef Tomer Agay loves having direct with his guests. "I love leaving the kitchen and approaching tables, having a short conversation with the guests about food, life, or whatever." But when he's not cooking and is hungry, "I love to mix it up with Asian at either or ." But the big food trend happening in the city is the end of entrees. This is the time of small plates in every possible form. "Everyone is sharing," says Ross Belfer, the founder of a creative agency called Xhibition. Restaurants, like the dining spot in , are responding with "a new focus on all things seasonal," according to chef Moran Yanai. 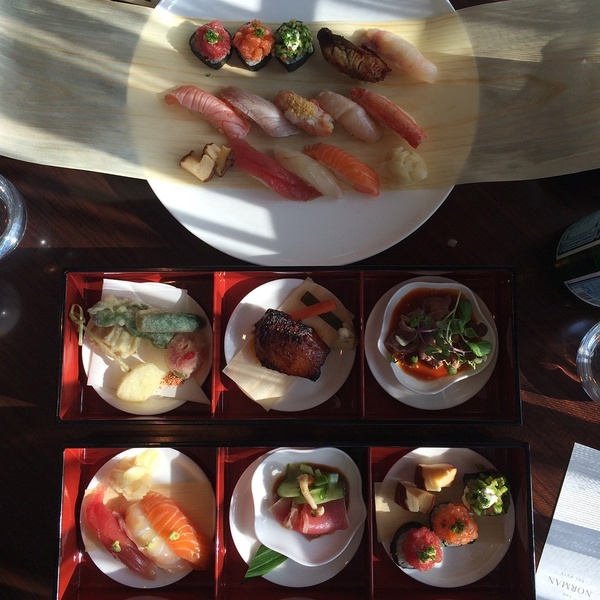 It's the same at the newly opened , where small plates are happening at , its upscale Japanese tapas restaurant. Of course, after all that food, a drink is always in order. is a little magic: Walk through a hidden steel garage door and a restaurant to land in a 1920s speakeasy. Greek hot spot serves it all on ice, while just opened their third bigger outpost. For coffee, the city's finest is , owed by Gemma Farshi (and her dog). "I import from roasters all over. I have the luxury since I am operating a tiny café," she says. In addition tor regular cuppings, she also offers a cold brew and elaborates cheerily on the exact farm and procedures of every bean. For the full culinary shebang, specialize in foodie tours of the city's markets. So now you're there, where should you stay? is utter Hollywood Regency style just a little hop from the beach. It won't get sexier. For sophistication and privacy, is exactly where you want to be. is a writer and explorer. You can follow him on at @danielscheffler. He travels for the deep seeking of the self. Наша организация предлагает гейнеры купить украина у нашего менеджера. Предлагаем вам со скидкой мужские сумки по вашему желанию, недорого.